I don’t much care about my character’s (or my corp’s) killboard (the term for API-powered websites that list and analyze your PvP combat statistics in Eve). It is (and I hope always will be), something that’s inadvertently and unmindfully produced as a result of my play — just something that happens, not something I play toward. I think that the day that those numbers (my kill/death ratios, efficiency, et cetera) alter my in-game decisions should be the day I stop playing. For instance, here’s a fun fact: I recently lost by 100th ship in the game (I’m currently at 123). Interesting? Perhaps. More interesting: 93 of those ships (75% of the total) have been lost since joining Faction Warfare (many of them frigates). This might make faction warfare seems like a bad idea, maybe. Depending on which killboard you look at (they all count things a bit differently) I’ve blown up somewhere between 261 and 321 enemy ships. I’m going to go with 261, since estimating low keeps me humble and I suspect some of those other ‘kills’ are actually structures I helped blow up. Now, with that second bit of information in mind, how do those ship losses look? To me, they look like I’m getting more out than I’m putting in: I wish everything I invested my time in yielded a better than 2.5:1 reward ratio. All of those deaths have been about having fun, enjoying my play, experiencing all that Eve has to offer and learning something new. Training skills, fitting ships, flying with your friends, getting into new ships, these are all important things. But risk is the ultimate reward in Eve. A few nights, ago, I was out and about in a cheap little frigate – a slicer – capturing a couple plexes in heavily contested systems. There was a war target in the system, so while I wasn’t surprised to see a ship warp into the complex and come at me, I was a little surprised to see that it was a neutral pilot, unaffiliated with the war. More, he clearly wanted a fight, as he target locked me and started firing from long range. After his escape pod warped off, I took a look at the kill information and quietly send him the ISK value of the ship he’d lost. Between that and the insurance payout, he should be slightly ahead after losing his ship. Why did I bother? Because he gave me the chance to have more fun (a lot more fun) than I would have otherwise. I didn’t have much time to play that night, and it was likely going to be nothing but me capturing a couple complexes, shooting a few NPCs, and logging out. Instead, an exciting 1 v 1 brawl. We sometimes forget that half of the people we ‘play’ with every night aren’t the guys on comms, but the dudes shooting at us – just as a chess match or poker game or a board game fails without opponents, so too goes Eve; in a lot of ways, it’s much more like a typical game than most MMOs, because most games are player vs. player. The only big difference is the adrenaline rush — I was amped for at least a half hour after that fight. I’ve never had that kind of experience from any other game. Now, maybe he didn’t have as much fun. Maybe he was looking for a win and was really pissed he lost a ship. He’s a long-time player, but he hasn’t gotten many kills lately. Bad luck, maybe, or getting used to the new/old ships. I don’t want him to have a bad time. I want him to keep playing. So: a little donation. I’ve got the ISK, and it’s just the cost of a frigate. “It’s just a frigate.” I hear that a lot. 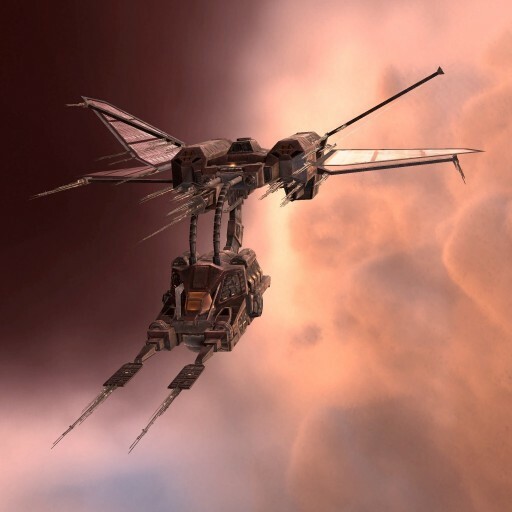 Frigates in Eve are like healing potions in other games, as far as I’m concerned: if you’re not using them up periodically, you aren’t really playing hard enough. Make sure to show up for the fight with sufficient consumables. We bring a lot of pilots into faction warfare from other areas of the game. Null sec. Wormholes. High sec. They like to make jokes about frigates — shake their head in disbelief that they’re flying such a cheap little ship. They miss their carriers, their Tengu strategic cruisers, their blinged-out Kronos marauders. Here’s the thing, though. I can fly a strategic cruiser. I’ve got… three of them? I think? Maybe four. Any one of them costs 100 times more than that slasher I was flying. And there’s just no way I’m going to get 100 times more fun out of one. I mean, I fly LOTS of different stuff, but love jumping in a frigate. They’ve given me the freedom to try crazy stuff. To blow up 93 times. To blow up 235 other guys. To have fun. Which is really the point of a game.